10. Alan Silvestri - What More Could I Lose? 14. Alan Silvestri - Charge! 21. 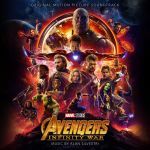 Alan Silvestri - What Did It Cost?